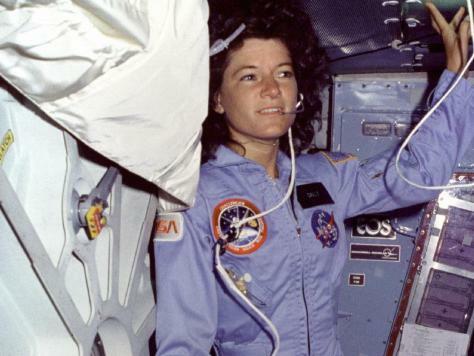 In a space agency filled with trailblazers, Sally K. Ride was a pioneer of a different sort. 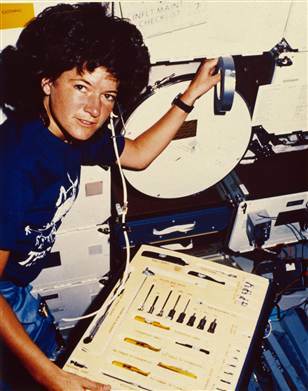 The soft-spoken California physicist broke the gender barrier 29 years ago when she launched aboard space shuttle Challenger’s STS-7 mission on June 18, 1983 to become America’s first woman in space. She was certainly a pillar of Women@NASA, long before our own program existed. Ride’s contribution to America’s space program continued up until and will persevere past her death on July 23, 2012 at age 61. 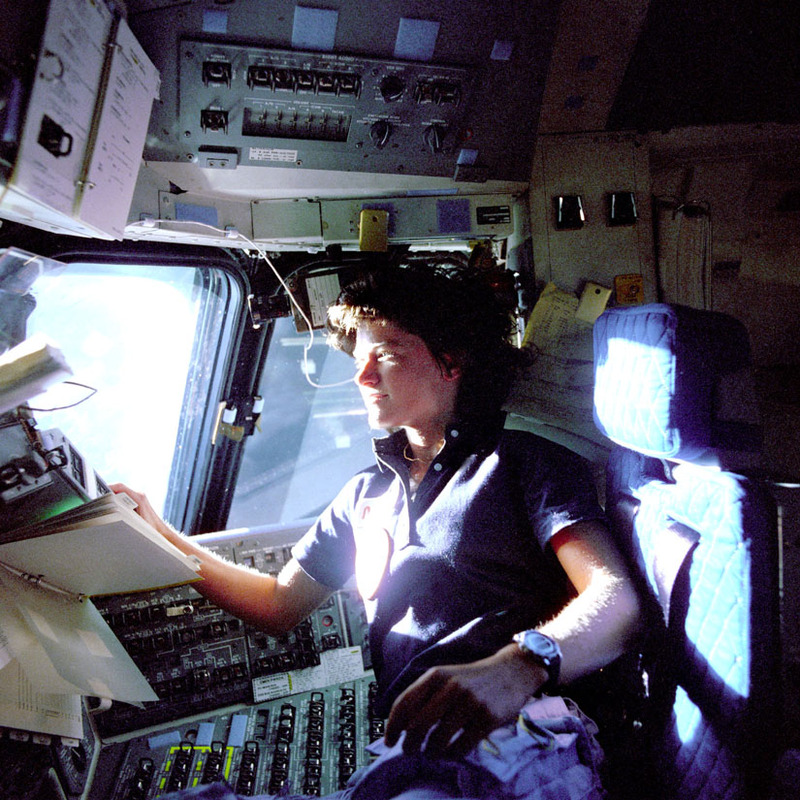 After two trips to space, she went on to an award-winning academic career at the University of California, San Diego, where her expertise and wisdom were widely sought on matters related to space. She holds the distinction of being the only person to serve as a member of both investigation boards following NASA’s two space shuttle accidents. She also served as a member of the Review of U.S. Human Spaceflight Plans Committee in 2009 which informed many of the decisions about NASA’s current human spaceflight programs. 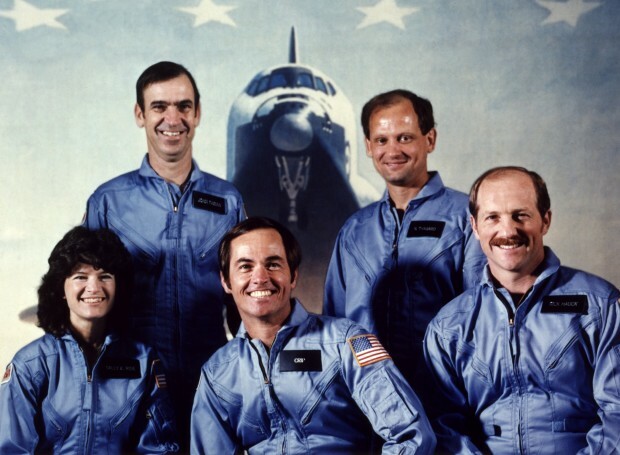 Ride joined NASA as part of the 1978 astronaut class, the first to include women. She and five other women, along with 29 men, were selected out of 8,000 applicants. The class became known as the “Thirty-Five New Guys” and reported to the Johnson Space Center the next summer to begin training. 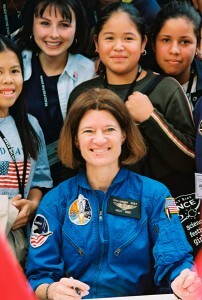 Ride trained for five years before she and three of her classmates were assigned to STS-7. The six-day mission deployed two communications satellites and performed a number of science experiments. Ride left NASA in 1989 to join the faculty at the University of California, San Diego, as a professor of physics and director of the University of California’s California Space Institute. 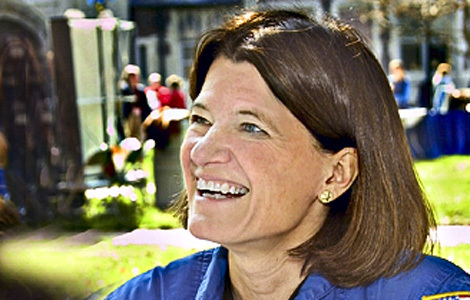 In 2001, she founded her own company, Sally Ride Science, to pursue her long-time passion of motivating girls and young women to pursue careers in science, technology, engineering, and math (STEM). Ride shared the same passion as Women@NASA, reaching out to the next generation of explorers. Many women in STEM careers today credit to Ride their interest in science, and through them as role models, her legacy remains strong to accomplish her own goal of closing the gender gap in such fields. A native of Los Angeles, Ride graduated from high school in 1968 and enrolled at Stanford University. At Stanford, she earned four degrees, including a doctorate in physics in 1978. She also was an accomplished athlete who played varsity tennis at Stanford after being nationally ranked as a youth. Ride received numerous honors and awards during the course of her career. 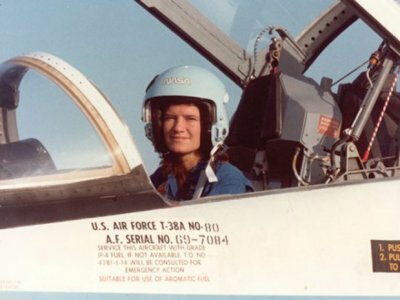 Most notably, she was inducted into the National Women’s Hall of Fame and the Astronaut Hall of Fame, and received the Jefferson Award for Public Service, the von Braun Award, the Lindbergh Eagle, and the NCAA’s Theodore Roosevelt Award. Ride died peacefully July 23, 2012 after a courageous 17-month battle with pancreatic cancer. For more information, visit www.sallyridescience.com.